Just a few metres away from Platanias Beach, in Rethymno, Marianthi Apartments features a swimming pool, a separate children's pool and a garden bar. Its air-conditioned rooms enjoy sea, pool or garden views and free Wi-Fi. This 3-star guesthouse offers traditional country-house accommodation on spacious grounds, surrounded by the forest mountains of Boaventura. It is situated in Madeira's north coast, between the towns of São Vincente and Santana. This historic 17th-century mansion is set in 15 acres of woodland, a 20-minute walk from Darlington town centre. It features a leisure centre with an indoor swimming pool and a gym. The modern leisure club also has a spa pool, solarium and sauna. This small, family-run hotel has easy access by bus to Edinburgh city centre, 1.5 miles (2.4 km) away. It offers free on-street parking, free Wi-Fi, attractive en suite rooms and a restaurant and bar. 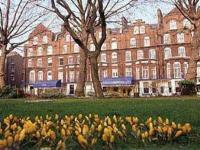 The Barkston Garden Hotel is close to London's lively Earl's Court, located in an attractive square with a garden view. Guests can enjoy free Wi-Fi in public areas. Panama City Beach is home to this beachfront apartment-style property, offering stunning views of the ocean, and a variety of modern facilities and amenities, including fully-equipped kitchens. In the heart of Edinburgh, this beautifully refurbished Georgian town house offers free Wi-Fi, free parking and stylish apartments less than 750 metres from Princes Street. Hotelyear built 2008additional property description the novotel edinburgh park is a modern 4 star hotel located to the west of central edinburgh. perfect for a business trip with wifi internet and five meeting rooms, the hotel is located in edinburgh park, one of the leading business parks in scotland. easy to reach from edinburgh airport, the m8 and the city bypass with excellent public transport links to the city centre.